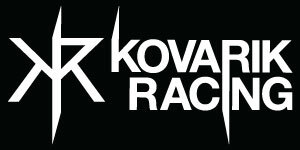 Kovarik Racing is lucky enough to be supported by Braking, an after market disk brake manufacturer based out of Italy, providing us with performance disks and pads for our entire MTB fleet throughout the year. They are huge in the Motocross industry and currently hold 86 Winning Titles amongst their teams and riders. We recently had a chance to test out the products at a ride day here on the Gold Coast, Australia. Amazing bite! Braking, not just a clever name….. Thank you, Braking, for supporting our program!